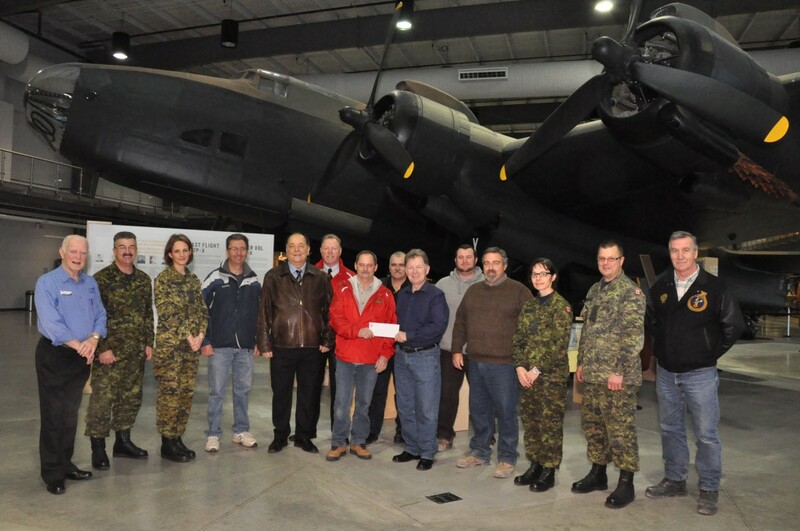 On Thursday, December 18th, Councillor Mike Graham, on behalf of Taso Christopher, Mayor of Belleville, UA Local 401, and Dependable Mechanical presented Camp Maple Leaf with a cheque for $16,812.55 at the National Air Force Museum of Canada. Photo: Garth Cochrane, Business Manager, presents Mark Freeman of Camp Maple Leaf, a cheque for $16,812.55. Members of UA 401, Dependable Mechanical, 8 Wing/CFB Trenton and Camp Maple Leaf in attendance.